You may know Photoshop as the program you use to touch up pictures and create photo compilations, but it can also be used for a number of other applications! 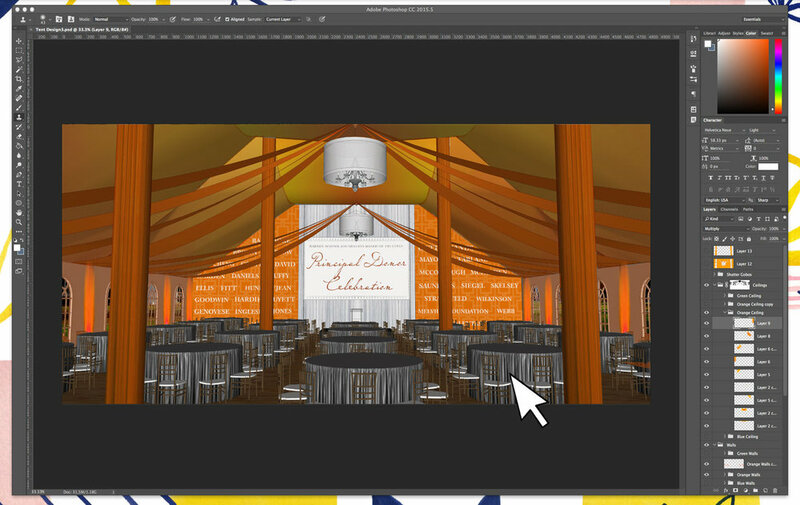 Just like SketchUp, we use it to better visualize our design ideas, but Photoshop gives us much more flexibility in terms of the visuals we create. 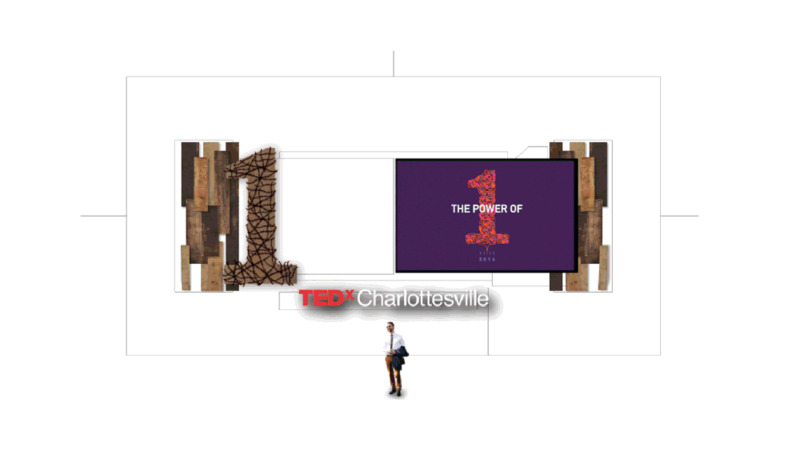 And sometimes we even use Photoshop to design graphics for projection or screen display at events! 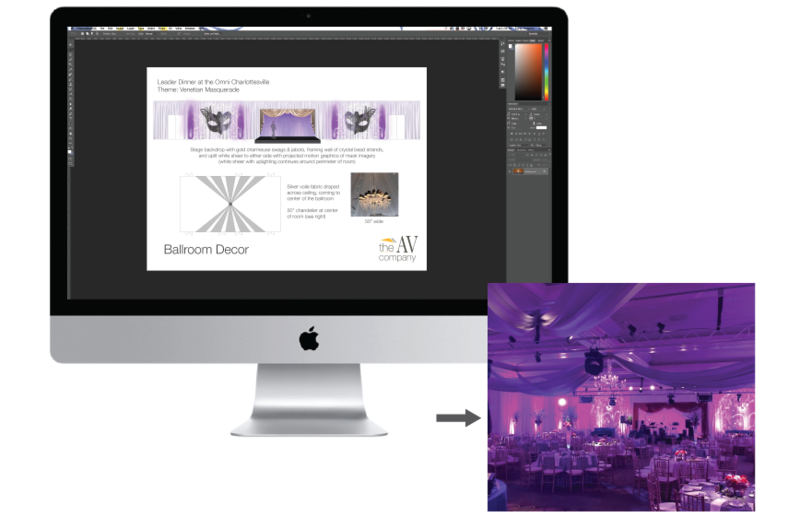 Whether we're using it to help visualize a design or bring a surface to life with cool graphics, Photoshop is one of our favorite tools for helping our clients produce great events! 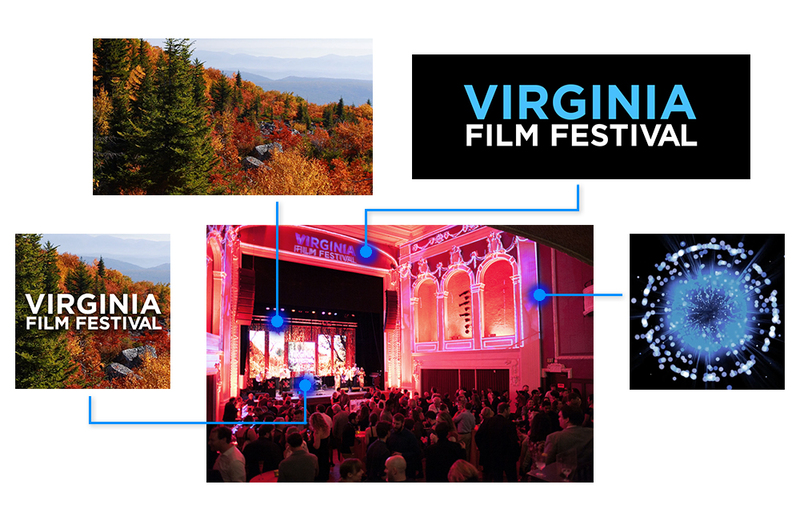 By integrating design visualization and graphics production into our creative process, we are able to offer full-service event production that reflects our clients' goals at every step! You can see more behind-the-scenes looks at our creative process over in our portfolio!